In what could be described as an unprecedented show of unanimous acceptance, Forum of Ikono PDP Statutory Delegates yesterday endorsed Rt. Hon. Victor Udofia for the House of reps come 2019. 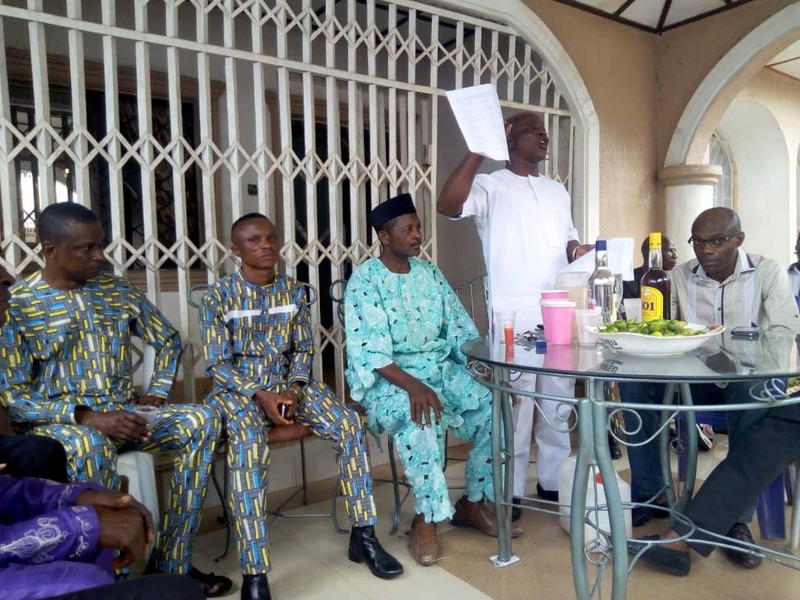 At the meeting held at Ibiaku Ntok Okpo, the forum lauded Udofia for his effective representation at the State level expressing optimism that he'll deliver at the bigger stage. In his opening remarks, the Director General of Victor Udofia campaign organisation and Chapter Youth Leader, Hon. Sampson Okorie said the meeting was organised to thank delegates for their pragmatism and continuous support for Rt. Hon.Victor Udofia, member representing Ikono in the AKHA. "Today is a milestone in the political history of Ikono. You've been so supportive of the activities of Victor Udofia. I came to say thank you for standing by the member. Talking about performance in different capacities from 1999, you'd agree with me that Rt. Hon. Victor Udofia has blazed the trail", he stated. 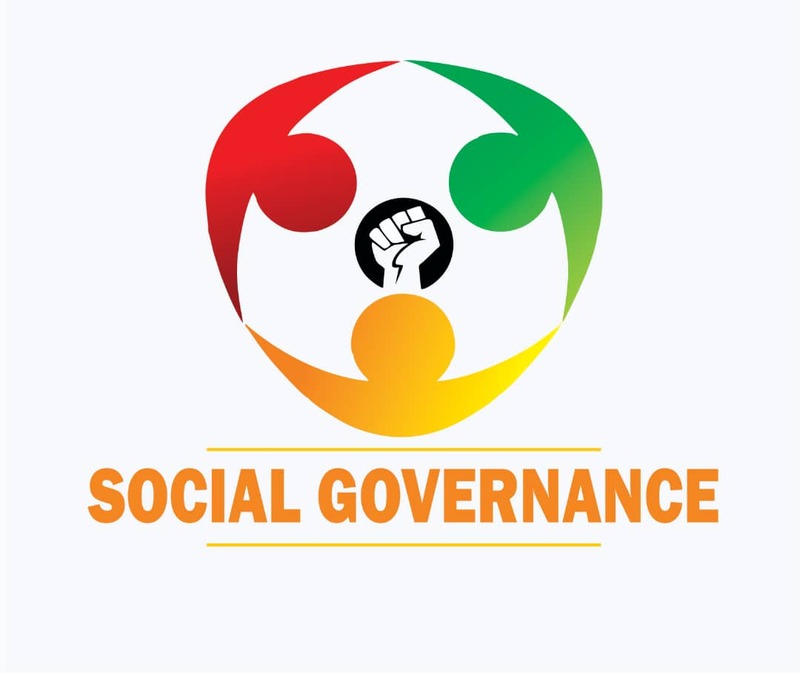 Considering the critical time the LGA was in, Okorie stressed that the gathering was necessitated as a platform for statutory delegates to familiarize with each other and take far reaching decisions. Despite the factions and camps that exist in the politics of Ikono, he made it clear that everyone would tow the line of the decision of the party. He maintained that Rt.Hon Victor Udofia was fully ready to take up higher responsibility and urged delegates to stand by him in the forth coming primaries. In one of the responses, the immediate Past PDP Chapter Chairman, Chief Etim Inyang disclosed that the office of the Chapter Chairman permitted him to form a zoning committee but that he had no right to publish a zoning report without consulting stakeholders of the party. Furthermore, he stated that the people needed to be involved in party decision making in order to give them a sense of belonging. "The people have the right to commend what is right and condemn the opposite. The skill and dexterity in the art of politics is not the sole property of one person. For Ikono to be in peace, whoever wishes to contest should go, work and get set for the polls but using zoning as a tool of victimization must be frowned at", he said. He urged delegates to consider aspirants on the basis of antecedents and performance not sentiments. Former Chairman of Council, Hon. 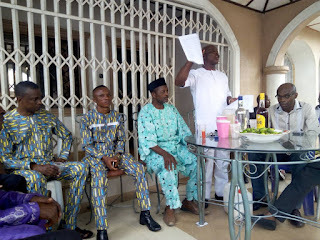 Emman Innocent in his contribution described team Victor Udofia as a a winning team poised for victory while urging delegates to support Victor Udofia for House of Reps. He advised other aspirants to shun propaganda and blackmail as Ikono people had long moved on. The highpoint of the event was the motion for a vote of confidence to be passed on Governor Udom Emmanuel and Senator Godswill Akpabio for their stellar performances in their respective portfolios and on Rt. Hon. Victor Udofia, an illustrious Ikono Son. The motion was moved by Hon. Samuel Udoh, leader of the Ikono Legislature and duly seconded by Bassey Peter Okon, Vice Chairman of the PDP in Ward 6. In conclusion, Hon. Sampson Okorie stressed that Victor Udofia's team was averse to attacks on persons, blackmail and campaign of calumny to score points while assuring His Excellency the Governor that peace had returned to Ikono despite the nefarious activities of some misguided elements who wished to create anarchy in the Local Government.